A step-by-step guide on how to become an accountant. Step 1: Is being a accountant for me? Is being an accountant for me? Are accountants happy with their careers? Still unsure if becoming an accountant is the right career path? Take the free CareerExplorer test to find out if this career is in your top matches. Perhaps you are well-suited to become an accountant or another similar career! High school level math and accounting courses can lay the foundation for a career in this field. 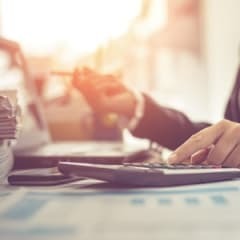 While Associate’s Degrees in accounting are offered, the minimum educational requirement to enter the field is increasingly a Bachelor’s Degree. Programs that award an Associate’s Degree provide a basic understanding of the fundamentals of accounting, taxation, financial statement analysis, and accounting technology. They prepare students for junior entry-level roles including billing clerk, accounting assistant, accounts receivable clerk, payroll clerk, or bookkeeper. Many accredited programs incorporate an internship that allows students to gain on-the-job training before graduation. When choosing an accounting degree program, students are advised to seek out [schools that are accredited by the Association to Advance Collegiate Schools of Business (AACSB). To be eligible to sit for the Uniform Certified Public Accountant (CPA) exam students must typically complete a certain number of credit hours of coursework at the graduate level and/or gain at least two years of work experience under the supervision of a licensed CPA. The two general areas of specialization are public accounting and corporate/business accounting. There also several subspecialties in the field. Most U.S. states mandate that CPAs complete continuing education coursework to maintain their certification. The American Institutes of Certified Public Accountants (AICPA) offer various competency and learning opportunities, as well as specialized credentials and designations, such as Personal Financial Specialist (PFS), Accredited in Business Valuation (ABV), and Certified Information Technology Professional (CITP). Accountants rank among the least happy careers. Overall they rank in the 7th percentile of careers for satisfaction scores. Please note that this number is derived from the data we have collected from our Sokanu members only. While this strikingly low happiness metric among accountants may not be simple to categorically explain, some aspects of the work do paint a picture of long hours and high pressure, brought on by the exhaustive and potentially overwhelming responsibility of preparing and examining other people’s and corporations’ financial records. Based on our pool of users, Accountants tend to be predominately enterprising people. Next on their interest archetype scale are ‘conventional’ and ‘investigative.’ These three characteristics align perfectly with the work that accounts do. Accountants must understand how businesses and enterprises work. They must abide by the conventions and regulations of financial reporting. And they must consistently use their analytical skills to investigate budgets and accounting discrepancies. The bean counter stereotype that once characterized the accounting industry is no more. 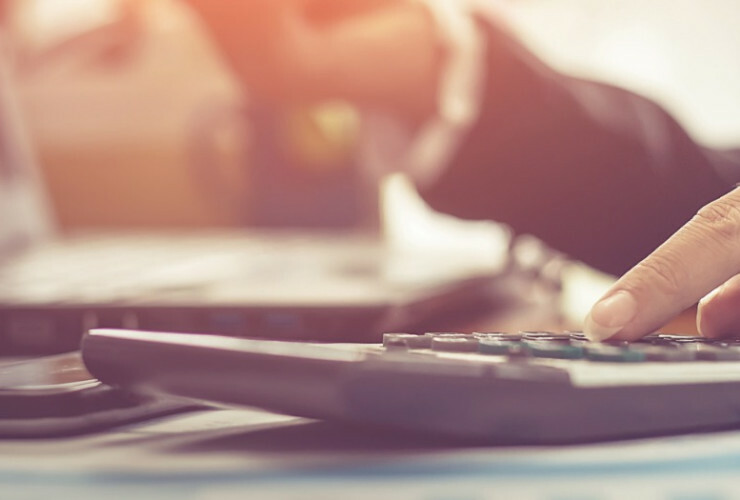 While fluency in the language of numbers is valued in a career focused on finances, the contemporary accountant and CPA need to excel at more than just math. Those that thrive in the field also have advanced interpersonal and communications abilities and organizational skills. They are detail-oriented and able to analyze and synthesize large amounts of data – qualities that are key for professionals tasked with analyzing and translating complex fiscal information, maintaining impeccable accounting records, and preserving financial stability to avoid potential legal repercussions. People who pursue this occupation generally have an investigative mindset; they enjoy digging for the source of an accounting discrepancy and feel rewarded when they resolve such mysteries. They have an aptitude for technology and typically appreciate a structured work environment that offers a considerable degree of predictability. The path to becoming an accountant often starts with showing interest in math and accounting in high school. It continues with earning a Bachelor’s Degree in accounting and in most cases with pursuing professional certification. To qualify for most entry-level jobs, accountants must possess a Bachelor’s Degree, which usually takes four years to complete. After about two years in an entry-level position, accountants generally have sufficient experience to pursue their Certified Public Accountant (CPA) license. Some colleges offer a five-year undergraduate CPA program that prepares students for both entry-level employment and the Uniform CPA Exam. A Bachelor’s Degree is widely considered the minimum education requirement for an accountant. This degree prepares students for entry- and mid- level positions. A Master’s Degree in an accounting related discipline is often required for senior roles. The Master of Accounting and the Master of Business Administration (MBA) with a concentration in accounting are quite common in the field. The Association to Advance Collegiate Schools of Business (AACSB) accredits accounting degree programs which meet specific standards of curricula, faculty, and general resources. Bachelor’s programs in accounting focus on accounting principles, finance, management, economics, statistics, taxation and auditing, and ethics. They also cover accounting systems, databases, and software. Successful completion of an internship is often a prerequisite for graduation. In the U.S., many accountants become licensed as a Certified Public Accountant (CPA). This credential is mandatory for accountants whose jobs involve filing reports with the U.S. Securities and Exchange Commission (SEC). Licensing regulations vary from state to state, but every jurisdiction’s Board of Accountancy requires CPA candidates to pass the Uniform CPA Examination. It is important for students considering this profession to know that accountants who are not CPAs (or ‘CAs/Chartered Accountants,’ as they are known in many other countries) can perform certain limited tasks, such as the preparation of financial statements and tax returns (if they have fulfilled IRS requirements). They are not permitted to conduct audits or review financial statements. While the CPA is the preeminent credential for accountants in the United States, other voluntary certifications are administered by such industry associations as the Institute of Management Accountants and the Institute of Internal Auditors.